The tourism market in Australia is continuing to grow and with disrupters like AirBnB entering the market, the choice of accommodation available for short stays in cities and towns within Australia is expanding. AirBnB is a global phenomenon. In Australia the industry is a multi billion dollar industry. This is having some great benefits, as well as some down sides for both visitors and the tourism communities they effect. More than ever visitors are spoilt for choice and can choose accommodation to suit their budget and with the style and amenities they prefer. No longer are you forced to pay for expensive luxury accommodation on short stays just to be self sufficient and have access to kitchen and laundry facilities. In most major cities and tourist towns you can book affordable accommodation in a room, or an entire house in a private residence, in a central location. You can also opt for staying in accommodation in a traditional hotel, or book a range of B&B short stays accommodation in a luxury B&B or spa villa. Each of these types of accommodation offer price ranges catering to budget visitors, right up to those seeking the best in luxury. The revolution that has taken place in accommodation has meant that more visitors have access to affordable accommodation and short stays. In major cities, accommodation is available not just in central CBD locations, but also further out, allowing visitors to choose accommodation that is close to family, friends and activities that may not be centrally located. While all this choice seems great for visitors, it can also have a down side. Some major cities and local towns, like Hobart and Byron Bay, have reported that the increase in affordable accommodation is leading to an increase in the short term population, which is putting a strain on local resources. In addition, the increase in tourist accommodation has impacted the number of available rentals for local people. When you are planning a family holiday or romantic getaway, your choice of accommodation usually depends on budget and your activities. Families often look for self sufficient accommodation in a full house or apartment. 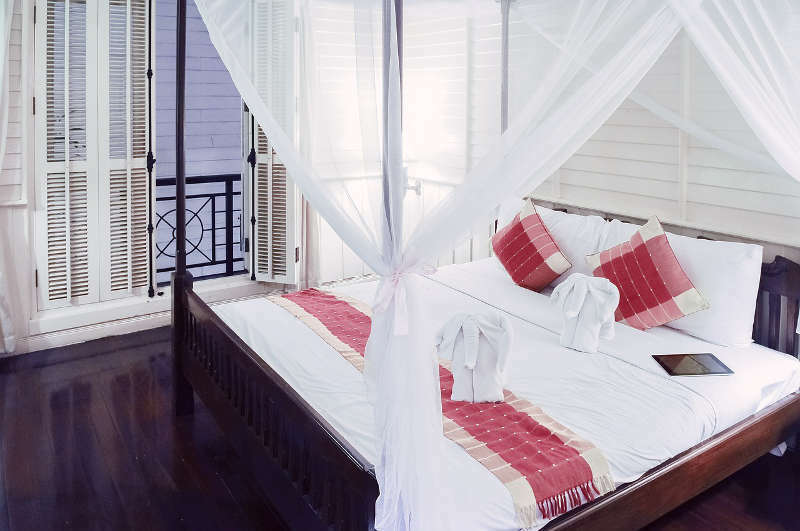 The accommodation couples seek varies, depending on whether they are looking for a luxury or romantic experience, or their priority is moving around and spending time sight seeing. Sight seeing on a budget: When accommodation is simply to provide a base and a clean bed, as well as the ability to cook breakfast or prepare a snack, booking a short stay in a private room or small apartment may be your best option. Romantic getaway or relaxing escape: For those who are looking for a romantic getaway or an indulgent relaxation escape, traditional B&B accommodation, with a choice of amenities and levels of luxury is still the best option. Family accommodation: For families the best accommodation is a good sized family home or apartment. Whole holiday houses are available across the tourism market to suit a range of family budgets. Standards vary between a basic holiday house, to more luxury style country homes and villas with spas that also offer a bit of luxury for the adults. 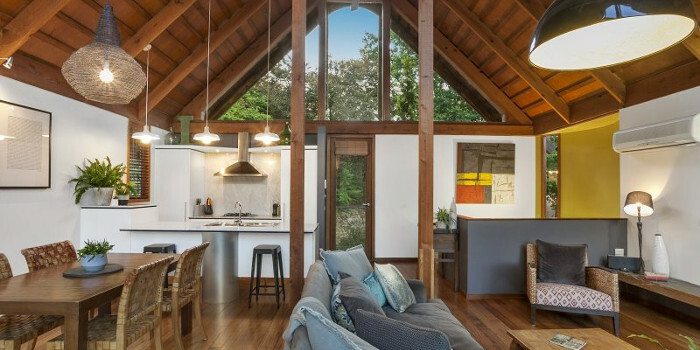 Hepburn Springs and Daylesford are popular holiday destinations for couples and families. Known as the spa capital of Victoria, people visit to bathe in the healing hot mineral springs at the famous Hepburn Springs mineral baths. They also come to relax and escape from the stresses and strains of city life, enjoy the many high quality restaurants, visit day spas and browse in the boutiques. Hepburn Springs is very popular with couples and is also a popular wedding destination. Romantic couples want secluded accommodation with all the romantic trimmings – a big spa bath, an open fire, great views of nature and luxury accommodation that feels as good as a hotel. Guests visiting for a wedding require more room for multiple guests. Over the last 10 years the availability of accommodation in the area has increased to cater to a growing demographic of visitors. Many homes now operate as B&Bs to provide a range of romantic short stay accommodation in a very competitive market. Depending on your budget, you can book a small cottage or luxury spa villa for a romantic getaway, or an entire country house for a family or wedding party.